Spring is finally here and so is our spring release! We've been busy designing the past few months as well as selecting some new colored papers and envelopes. 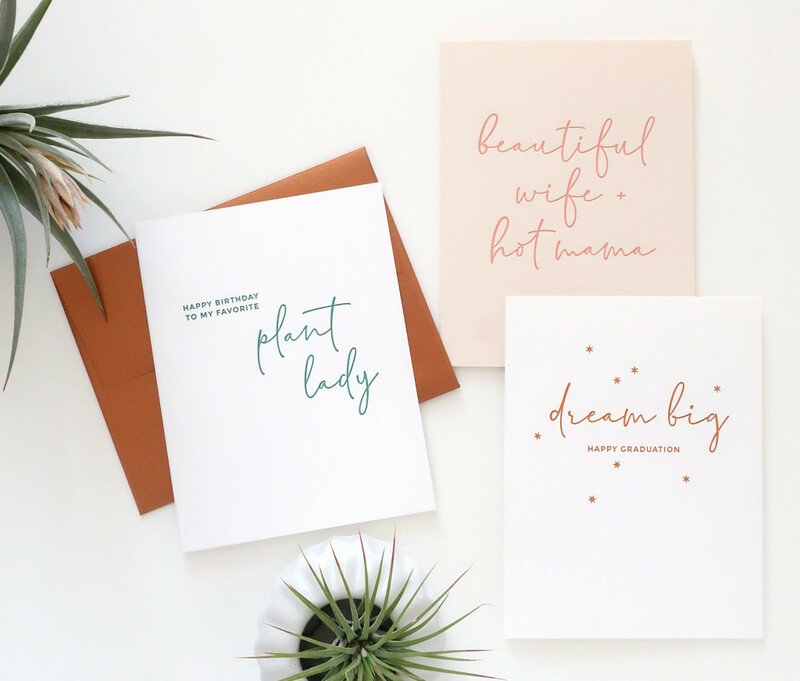 You'll find lots of text-centric designs as well as illustrated florals and botanicals in a modern color palette featuring blush, terra cotta, copper, slate, hunter green and classic black. This spring we have cards for everyone from plant ladies and cat ladies to dog moms and plant moms. Take a peek at our new collection here, and if you are a retailer interested in our line, contact us for more info!